India’s Petroleum And Natural Gas Regulatory Board (PNGRB) has terminated GAIL India Ltd’s license to build the Surat-Paradip Project for failure to begin work in a timely manner. According to the board, the company had yet to start work on the 2,112-kilometer natural gas pipeline, six years after first receiving approval. Under the terms of the order, GAIL India must also encash the full performance bank guarantee (Rs20 crore) previously awarded for the project. 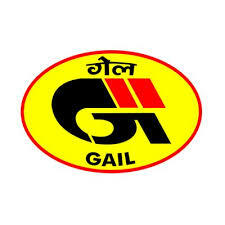 The decision to terminate GAIL India’s license for the Surat-Paradip Project marks the first such action taken in India since June 2012 when Reliance Gas Transportation Infrastructure Ltd’s license to lay the Kakinada-Basudebpur-Howrah pipeline, Kakinada-Chennai line, Chennai-Bangalore-Mangalore pipeline, and Chennai-Tuticorin line was revoked. If built, the Surat-Paradip Project would have delivered 74.81 million standard cubic meters of natural gas per day, and been India’s first pipeline originating and terminating at a port.